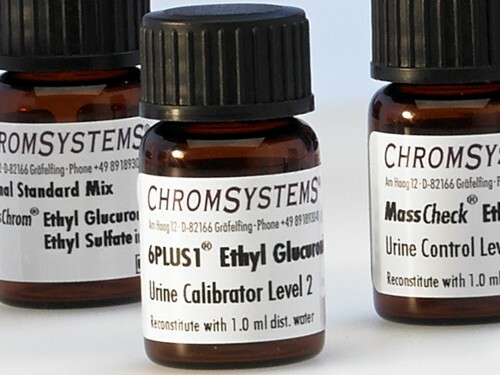 These lyophilised calibrators from Chromsystems are based on human urine and should be used according to the instruction manual. They are designed to calibrate the measurement method in clinical diagnostics for the quantitative determination of ethyl glucuronide and ethyl sulfate in urine. While following the instructions the calibrators should be handled and measured in the same manner as a patient specimen. These calibrators are only available as multilevel calibrator set with 6 different concentration levels plus 1 blank value. Stored below -18 °C and unopened, the lyophilised calibrators are stable until the expiry date specified on the vial labels. 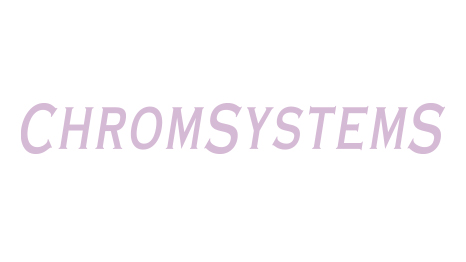 The reconstituted calibrators can be stored up to 4 weeks tightly capped at +2 to +8 C. If the calibrators cannot be used within this period, they should be aliquoted and stored frozen below -18 °C (up to 3 months). For more details about storage conditions please check your instruction manual.